Unfortunately there’s another heartbreaking story after the recent news of a child who was pinned under a garage door last week in Maryland. 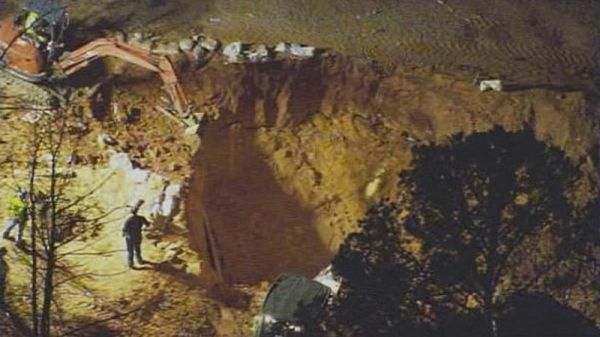 The bodies of two kids are feared to be dead after the kids were trapped when a wall of dirt collapsed on them at a home construction site in Lincoln County, N.C. One was a 6-year old girl and one a 7 year old boy, who were cousins. “The kids were down there playing and the walls caved in,” resident Sybil Johnson told WCNC. Emergency responders were dispatched to the construction site around 6 p.m. after the children’s father called 911. “They kept saying, ‘They’ve been down there too long without air’– that’s what the kids were saying up here, and I just told them God would take care of them,” Johnson explained. “This is now a recovery operation for these two children,” Burleson revealed in a statement.